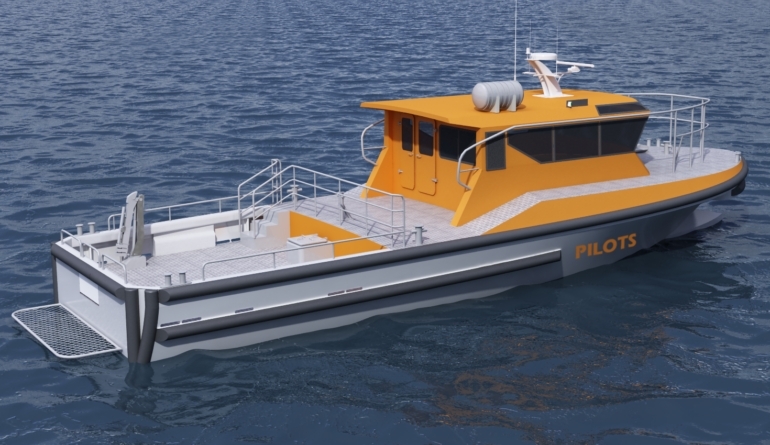 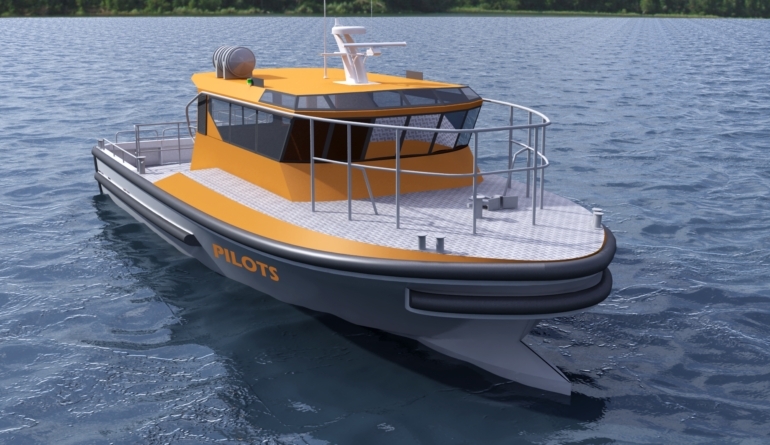 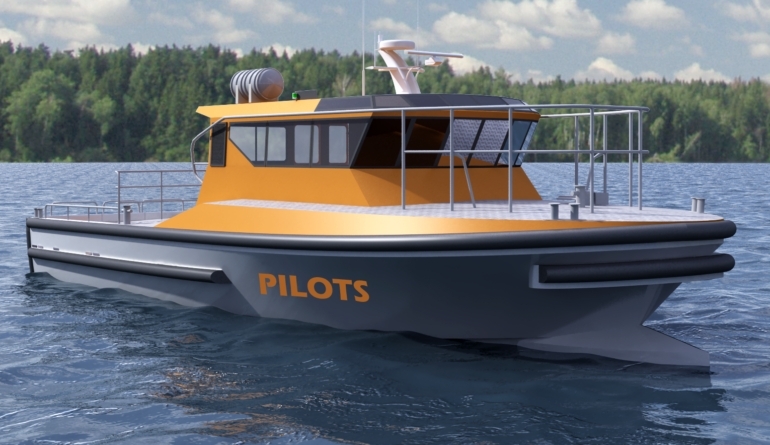 Our 17m rough water Pilot vessel has been based upon our well proven offshore rock lobster fishing hull and gives the optimum balance between offshore sea keeping, soft ride, good following sea capability, load carrying and stability. 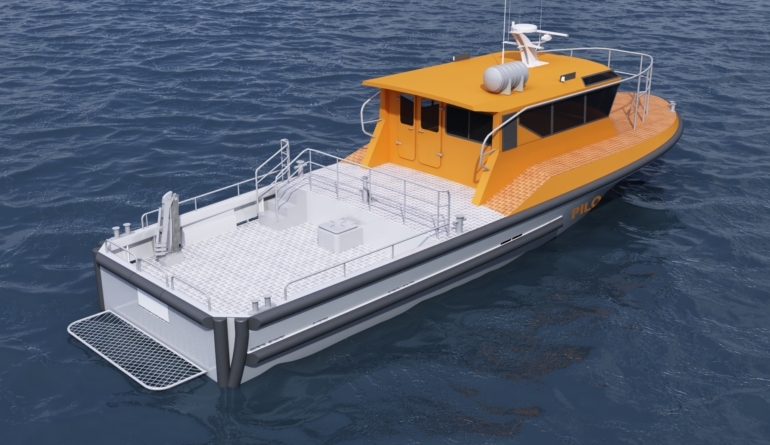 The design features large and extensive soft fendering and inset superstructure for zero ship contact. 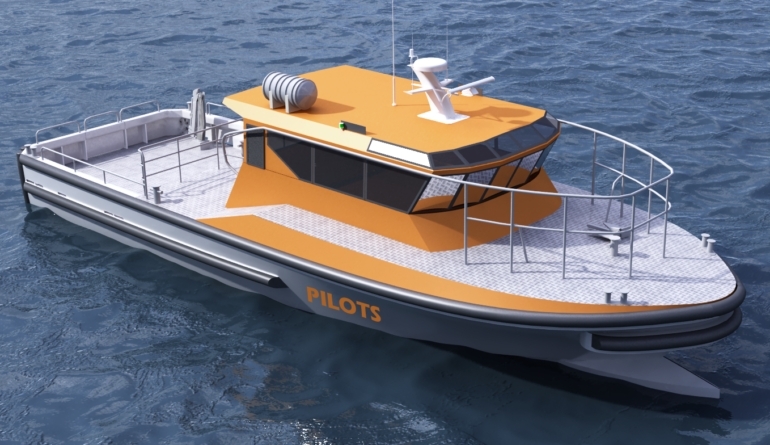 This vessel is a true multi role performer being equally suited to Pilots, cargo or diving.